If you are anything like me you avoided Black Friday Shopping in an actual store like the plague! I just can't. Too many crowds, and to be honest I don't think the deals are all that hot. I prefer to do my shopping online (well, books for myself- but also Christmas gifts for the people I love). Did you know today is Small Business Saturday? I happen to know of a small business that I completely adore and I wanted to share the link with you. The Bee's Teas are available on Etsy. They offer unique blends of loose leaf teas. Perfect for holiday gifts- or a gift to yourself for some holiday relaxing! 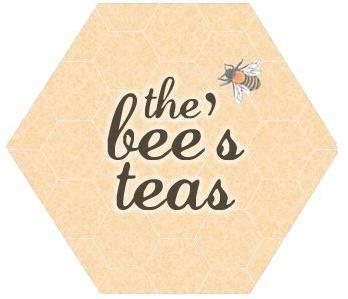 'Like' The Bee's Teas facebook page to get info on new stock and sales. They have some promos going on until December 10th, so don't wait, order today! Every few years, I'll do Black Friday. This year I went shopping on Thursday evening. The mall wasn't crowded at all. I'd just heard about Small Business Saturday on the news last night. As it happens, I will be visiting a small business today! Sometimes it can be a little less convenient to shop a small business (in person- not on the internet)- but I think it is ultimately more rewarding. You end up buying something that someone put their heart into, and that just makes it better!